Your opportunity to Connect, Learn, Showcase & Discover! A Few Current & Past Partners, Vendors & Speakers! Connect with industry professionals, share experiences, build your network and collaborate. Members receive access to production savings, rewards & incentives. Find creative inspirations, register for member event, get news and more! 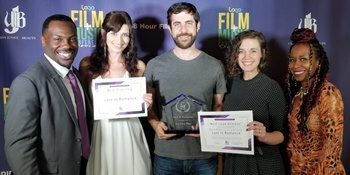 Presented by Get Connected & Indie Film Loop! Through our Filmmaker Incentives Program, members will be able to save money no matter what their production budgets are through exclusive app access to vendor resources. Our year of events will be full of opportunities to learn, work on projects and showcase work and make valuable connections throughout the industry. The opportunity to attend industry focused panels, workshops, networking events and more will be at your disposal. Getting to know all about our members is a true pleasure and we look forward to holding exclusive events just to learn all about our membership. As a community based organization, we aim to engage, educate, make films and have fun doing it!